Last year we reported that Huawei was using the AI technology that they had developed for the Kirin 970. That time around they were using the AI to help a car recognise and then take action to avoid the objects. We were able to actually see this in the real world and Leigh was riding in the passenger seat while it happened. if you want to relive this experience then you can do so by checking the article here. Well, this year they have decided to use the Kirin 980 to see what they can do but have taken a different path this time around. The project this year has been well a little bit more of a challenge as they have decided that they are going to attempt to finish a piece of unfinished music by a noteworthy composer. Now it is not just any composer in question the sights have been set on Schubert and his infamous Unfinished Symphony No. 8 which has been waiting to be completed for nearly 200 years. Now to say this will be a unique version of the symphony is an understatement. 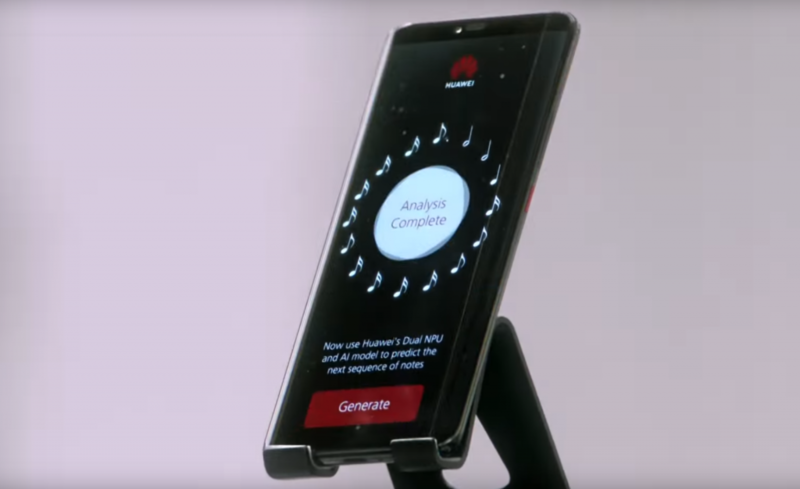 The Third and fourth movements have been recompiled by using Huawei’s Dual NPU based AI system that was on a specially configured Huawei Mate 20 Pro. Analysing the timbre, pitch and meter of the existing first and second movements of the symphony, the AI model then generated the melody for the final, missing third and fourth movements. Huawei then worked with Emmy award-winning composer, Lucas Cantor to arrange an orchestral score from the melody that stayed true to the style of Schubert’s Symphony No. 8. Now they could just release this music onto the internet via Youtube or on their various social media outlets but that is not Huawei’s style is it. So what they are doing is showing this musical feat off at the Cadogan Hall in London on Monday 4th February. Unfortunately, I am not able to attend the event this time around but rest assured it will be an insightful and potentially emotional performance. View the video teaser for Unfinished Symphony here. The post Huawei are playing with the power of AI again… is original content from Coolsmartphone. If you see it on another news website, please let us know.